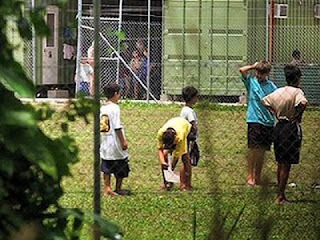 Newly installed Australian Prime Minister Tony Abbott’s government has promised Prime Minister Peter O’Neill to meet all commitments made by the Rudd government on the Regional Processing Centre in Manus Province. The two prime ministers met for the first time in Bali, Indonesia during the 2013 APEC Meeting. They had a special meeting and discussed issues concerning Ok Tedi and the Manus Regional Processing Centre. The two Prime Ministers agreed to keep all the commitments outlined by the Rudd government. In the meantime, over 200 million kina has been allocated by both the PNG and Australian governments to develop the Regional Processing Centre in Manus Province and also develop spin off benefits for the people. Meanwhile, yesterday the Australian High Commission in PNG released fact sheets on the progress of the social, economic and infrastructural developments and the funding allocated for each. The fact sheet reported that the national government provided 18.5 million kina to the Manus Provincial Government to carry out some of the projects. Australia is said to exceed this. For the Lorengau hospital, preparations are underway to bring in new medical equipment, renovate the water system for the dental clinic, and development of a master plan for a full on renovation project. In the education sector, the Provincial Education Division will deliver infrastructure kits to 20 primary schools by December. Construction has already commenced in some of these schools. It was also reported, local communities have been engaged to carry out the construction phase; each has been paid thirty thousand kina. Other projects include the Manus market roofing, community grants for youth activities, road works and the upgrading of the Lombrum naval base. It was also reported, so far sixty national companies are operating in Manus; ten of them are locally-owned. A total of 287 locals are employed at the processing centre, 500 recruited and trained by security company G4S to provide security, and 160 expected to be stationed in the second processing centre in East Lorengau.